A new meeting in the project of Abbonamento Musei Lombardia Milano LET'S DRAW ART for the children. 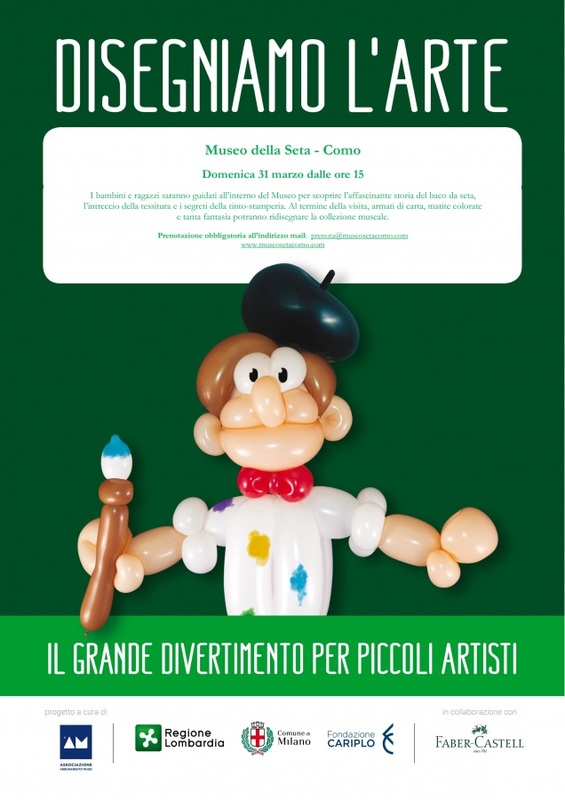 The date is intended to children who have the Abbonamento Musei Junior Card, but the activity is open to all. Children will discover the fascinating history of silk in order to redraw the Museum collection with papers, colored pencils and fantasy. SUNDAY 31 March 2019 from 3 p.m.
Free entrance. Educational work € 4 each child. Reduced price ticket for companions who are visiting the Museum.